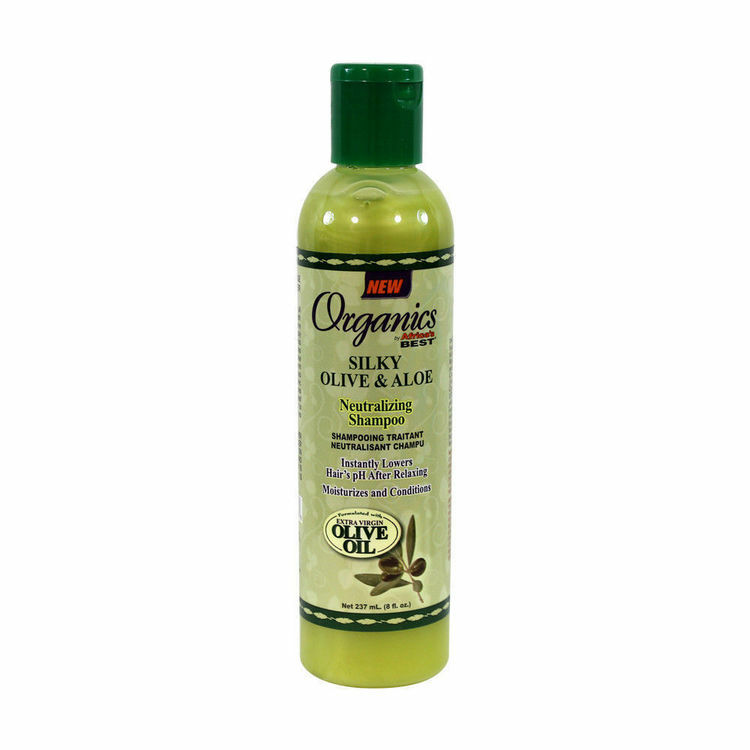 Enriched with olive oil for strength and shine. Aloe for scalp health. Instantly lowers hair's ph after relaxing. Use immediately after relaxing hair. Thoroughly rinse out all traces of relaxer with warm water. Apply shampoo to hair and work into lather. Check for traces of pink lather. Repeat process untill all traces of pink lather is out and lather is white. PINK LATHER MEANS THAT RELAXER RESIDUE IS STILL ON HAIR. SHAMPOO AND RINSE UNTILL ALL PINK IS GONE AND LATHER IS WHITE.